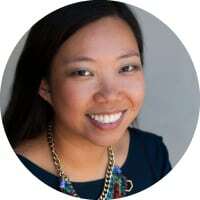 Zontee Hou is the founder & president of Brooklyn-based consultancy Media Volery and co-lead of the respected Convince & Convert Consulting team. Her 10+ years of work in the marketing industry has garnered multiple awards including a Forrester Groundswell Award. Whether consulting for clients including Telogis, Indiana University, and the UN FAO or teaching her graduate students at Columbia University and the City College of New York, Zontee seeks to connect marketing methodology and business goals. My first job out of undergrad at NYU Stern was as a marketer for one of the largest craft & hobbies firms in the United States. Crafts & hobbies are such a passion-driven industry, and therefore–perhaps surprisingly to outsiders–the audience is very digitally savvy. In that role, I grew with that company’s digital marketing efforts, developing an award-winning blog, an award-winning podcast, video series, a successful influencer program, events, tons of online content, and even appeared on PBS and the Martha Stewart show. Because of that experience, I saw the power of content to engage new customers, turn current customers into advocates, and change the conversation around the brand. As a consultant with Convince & Convert and with my own company, I now get to bring that hands-on experience to industries ranging from financial services to higher education to software. In the B2B space, content marketers always ask me “how do we make our content fun” or “how do we make our content less boring,” and to me, these are the wrong questions. Content marketing is first and foremost about serving your audience. I’m passionate about getting companies to think about the 4 Es of content. Does your content entertain, educate (impart skills), explain (synthesize information), or empower (inspire and connect) your audience? If not, it doesn’t truly serve them. Start there. Jay Baer, Ann Handley, Mark Schaefer, and the amazing team at Convince & Convert who are all experts in their own right. In behavioral sciences and behavioral economics, I admire writer Daniel Pink; economist Dan Ariely; professors Cass Sunstein, Richard Thaler, and Zoe Chance. In terms of creators, I think Casey Neistat is killing it. I greatly admire Tamsen Webster as an insightful speaker and Cindy Gallop for speaking truth to power. We work with quite a few businesses in regulated industries (healthcare, financial services) and I’m particularly impressed with some of our former clients, who are creating truly engaging content: Allstate Insurance, Motley Fool, and Fifth Third Bank. I’m also excited about brands like CoSchedule and Carney who are punching above their weight class with great blog and email content. In addition to advising companies on digital marketing and content strategy, I also speak, present webinars, lead workshops, and have been featured on a lot of podcasts and videos as a guest. I love collaborating with others in our community! It’s a great way to learn and expand my own skills.